Home Unlabelled It Is Fantastic On Wednesday As Well! It Is Fantastic On Wednesday As Well! 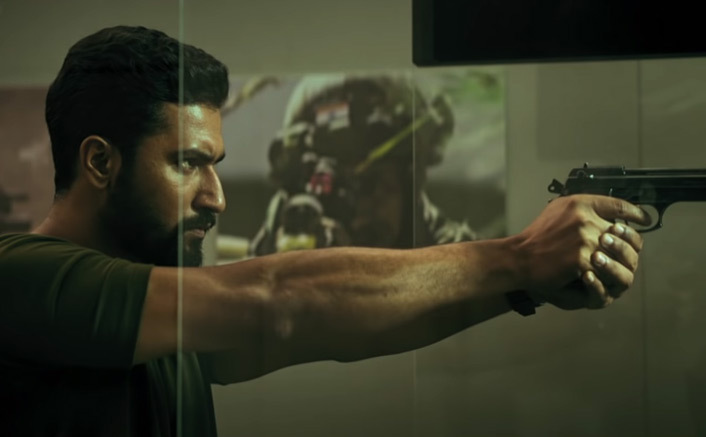 Uri: The Surgical Strike Box Office Day 6: Yet another day, yet another huge haul for Uri – The Surgical Strike. The Aditya Dhar directed films is staying on to be unstoppable at the Box Office, what with 8 crore* more coming in. Considering the fact that first day numbers were 8.2 crore and now even the sixth day is so big, the film is indeed in for a long run. So far the film has collected 63.81 crore* and the first week numbers would be close to 70 crore now. This is simply fantastic as before the release of the film no one would have ever expected the numbers to be so huge in such quick time. Uri: The Surgical Strike Box Office Day 6: It Is Fantastic On Wednesday As Well! The film is on course to be a solid Superhit though the trend so far indicates that it could well emerge as a Blockbuster as well. If that happens, Vicky Kaushal would join the ranks of Ayushmann Khurranna (Badhaai Ho), Rajkummar Rai (Stree) and Kartik Aaryan (Sonu Ke Titu Ki Sweety), each of the youngsters who delivered a solid Blockbuster last year.